Tee times may be reserved up to 7 days in advance. 18-Hole, 6414 yard, par 72 public golf course. Front nine opened July 4, 1993; Back nine added July 4, 2002. Bentgrass greens, bluegrass/rye mix fairways, tees, and rough. Snack and beverage bar offering a variety of sandwiches, chips, candy, soda and beer/mixed drinks. Our proshop carries a variety of golf equipment and accessories including Foot-Joy footwear and gloves, Titleist and Nike golf balls, and a variety of Country Hills logoed merchandise, headware, and apparel. Soft Spikes or spikeless shoes are required. No more than four (4) golfers per group. Only two players and two golf bags allowed on a cart. Food and beverages must be purchased in the clubhouse; no private coolers. Proper golf attire is required - no tank or halter tops; shirts must be worn at all times. Children under age eight must have permission to be on the Course. Licensed drivers only may drive carts. 9 Hole pass to use or distribute; call us for more info. All Punch Cards are valid for ten (10) rounds; Cart Cards are available exclusively for Season Pass Holders. 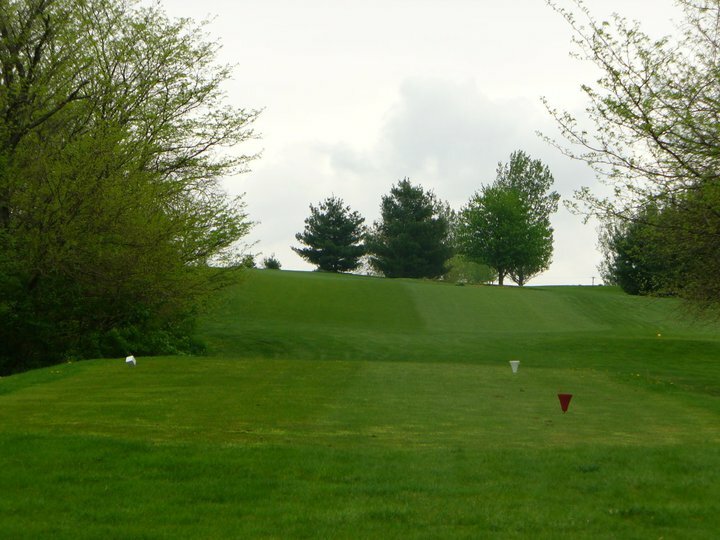 We offer outing packages that include golf, cart and meal with discounts for larger groups. Shotgun and tee time start options. We are happy to assist with contests, prizes and themed outings. Our banquet room can accommodate up to 110 guests seated. Outstanding food & beverage menu; all meals are cooked in-house. Desserts are our specialty - we have our own dessert company, Red Barn Desserts.